Test driving Yves Saint Laurent Forever Youth Liberator! Contest! What does one say when one is asked to try out a fancy new skin care line for a month and report on the results? Duh! Yes of course! So when Yves Saint Laurent asked me to use their Forever Youth Liberator as my skincare regimen for one month to discover the wonders firsthand of Glycobiology and the dramatic results in the rejuvenation of my skin there was really no debate on whether I would do it or not! Curious about what the heck Glycobiology is and what it has to do with skin aging - me too! Basically it has to with Glycans which are complex saccharide chains that are naturally present in our body and help communication between cells to ensure skin regeneration. And while they are active in young skin, over time the number of glycans diminishes hindering the skin's regeneration process. This leads to wrinkles, loss of tone and a dull complexion. 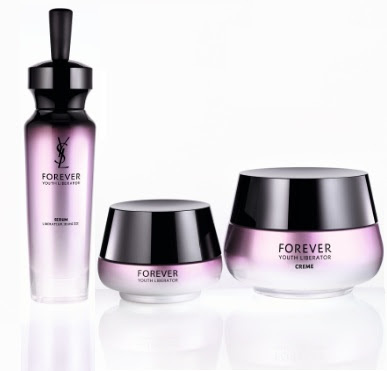 Forever Youth Liberator contains Glycanacif - a patented complex of 3 glycans acting like keys to liberate the skin's youthful appearance which: on the cell surface send youth messages from cell to cell; inside the cell boost cell regeneration; and between the cells strengthen skin structure. In one month I should expect to see radiance, anti-wrinkle lift as well as plumping... we shall see. The products I am trying are: Forever Youth Liberator Serum, SPF 15 Day Cream and Eye Cream. I will be reporting in each week with my results - I have been using the products for a week already but a week isn't really enough time to see anything yet so I thought I would fill you in on the wonders of Glycobiology this week and next week tell you more about the products and how I'm finding them. 1 entry for following and answering the question - Out of all of the sucky things about aging, what would you say is the suckiest? Please also leave your e-mail so we can find you if you win! Follow @YSL on Twitter and tweet the contest. If you prefer not to leave your info on a public post, please leave a post saying you want to enter with your answer to the question and then e-mail your info to info@beautycrazed.ca, please put "YSL Contest" in the subject line. Remember to leave the post or you name won't actually end up in the draw! Winners to be decided by random drawing and you have until June 22nd to enter. Good Luck! 68 comments so far. What do you think? Maxi dresses at mini prices from Old Navy, RW&CO, Reitman's and mark.! Old Navy Pink Stripe Chiffon Maxi Dress - $39.94 - sizes XS - XXL - also available in purple stripe colour. Orange you loving the Dior summer collection?! Flash, Jet-Set, Crystal Coral and Bikini swatches! Add shine to your orange with Flash Dior Addict Ultra-Gloss! Jet-Set Dior Addict Lipstick offers orange that is a little more subdued. Work your way up to orange by starting with coral with Crystal Coral Dior Addict Lip Balm. And save the vivid orange for your nails with Bikini Vernis! Colour yourself with primers from Dermalogica, Lise Watier, Pixi and Almay! Dermalogica Age Smart SkinPerfect Primer SPF 30 - 22ml - $64 - offers illuminating coverage while smoothing away fine lines, brightening and priming for flawless skin and to prep for make-up application. Velvety silicones create an instantly smooth surface. Neutral tint helps balance tone and enhance luminosity and radiance. Peptides and Age Smart actives help firm and shield against MMP and free radical damage, as sunscreens shield against sun damage. Wear alone over your moisturizer for visible smoothness and luminosity, or after moisturizer application and before foundation to help fill fine lines for a lasting make-up finish. Formulated without artificial fragrances and colors. So far I've only tried a sample of this but it's been enough to make me appreciate this primer. The problem I usually have with "skin tone" tinted primers is that the tone is too dark and just ends up making fair skin look dirty. No such problem with this one, the tint blends right into my skin. The feel is very smooth and light and I really like that it has a high SPF built right in! I'm thinking a full sized tube of this could be in my near future! Go to www.dermalogica.com to purchase online or find a location near you. Lise Watier 3-in-1 Miracle Primer Bronze - 20ml - $35 - with.a translucent base that instantly matifies and corrects your skin by minimizing the look of pores and fine lines - while a tan coloured base corrects skin tone and illuminates your complexion. Wear them alone or combine them to optimize the matifying, correcting and illuminating effects. Unlike the other primers mentioned here, this one actually does show visible colour on me so this is my choice for when I want to look less sickly/pale and more like someone who actually goes out during daylight! If you are also fair, just be sure to blend well so it doesn't look fake - it really does add a lovely sunny glow to my skin! Pixi Flawless Beauty Primer - 30ml - $31 - in No. 1 EvenSkin - a lightly tinted anti-aging primer that is loaded with skin-nurturing vitamins A, C and E to neutralize and smooth uneven skin tone as truffle extract, rich in amino acids and minerals to tone and hydrate - for skin that is plump, smooth with a vibrant, youthful-looking glow. This is such a great summer product! I am so not a fan of foundation in the summer but there are days (okay let's be honest, morning's after) when my skin looks blotchy and needs evening out - this primer is perfect for that and really does add some needed glow! Almay Smart Shade Perfect & Correct Primer - 30ml - $16.95 - a multi-tasking oil and fragrance-free face primer good for any skin tone that intuitively adjusts to smooth and soften skin while correcting skin's most common problems with visible color correcting strands - green ribbons neutralize redness, while swirls of lavender pigments even out and brighten skin tone. Imperfections are diffused, skin is smoothed and softened and appears poreless and skin is up to 265% more hydrated. With a lightweight, non-oily gel formula that works for all skin types but is specifically formulated for sensitive skin. Wear it alone for a flawless finish or underneath foundation for the first step to perfected skin. You have to feel this one - it is sooooo smooth! When I wear it I feel no further need for anything else on my face! Aveeno Pure Renewal let's you wash as much as you want - guilt-free! Enter the Aveeno Pure Renewal collection which features Active Naturals Balancing Seaweed Extract that cleanses hair without over-drying, providing the ideal solution to maintain hair’s optimal moisture levels. The result is a marked improvement in hair’s softness and shine, leaving hair in its purest, healthiest, and cleanest state - 80% more manageable after the first use and up to seven times healthier-looking and are even safe for colour-treated hair! 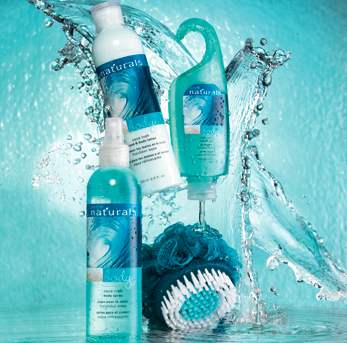 Formulated with sulfate-free cleansers and without the use of parabens or synthetic dyes, the collection offers a simple, non-abrasive cleansing routine with the added benefit of better foaming than other sulfate-free hair care formulas. This is due to a new innovative technology from Aveeno, which helps minimize the amount of ingredients in the collection, to allow for more gentle cleansing, while still producing the lathering and foaming sensation that consumers expect and desire in their hair care. This new technology is naturally-derived from potato starch, is sulfate-free and biodegradable, so it’s both gentle on hair and earth-friendly. Pure Renewal Shampoo - 310ml - $8.99 - naturally renews hair to its healthiest state with naturally-derived cleansers that carefully lift away impurities without over-drying the hair while rebalancing hair's optimal moisture levels to prolong that clean feeling. Pure Renewal Conditioner - 310ml - $8.99 - designed to condition and soften without weighing hair down and rebalance hair's optimal moisture levels to leave it silky and more manageable for styling. Pure Renewal 2-in-1 Shampoo & Conditioner - 310ml - $8.99 - easy one-step product to cleanse and condition hair without drying it out and leaves hair feeling healthy, renewed and manageable for easier styling. Available now at food, drug and mass merchandisers. This week I'm obsessed with... Fresh Sugar Coral Lip Treatment! 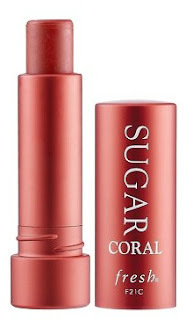 Fresh Sugar Coral Lip Treatment SPF 15 - $23 - moisturizes, protects and smoothes the lips just the way you expect a Fresh Sugar Lip Treatment to do - while leaving a juicy coral tint behind! I've been all about coral lately so of course I was thrilled to see a coral shade of my favourite lip treatment and as you can see from the swatch above, this is no wimpy tint! If you've been thinking about dipping your toe into the coral pool but aren't ready to brave a full-on lipstick, this would be a perfect first step! Home hair removal made easy with TANDA mē! TANDA mē Elos Professional Hair Removal System - $395 - Just in time for summer, get ready to say goodbye to traditional laser hair removal with the long, painful treatments and nasty side effects! Introducing a revolutionary device with patented elōs technology - the first and only technology that combines the power of both IPL (Intense Pulse Light) and RF (radio frequency energy). The combination of these two complimentary energies delivers unprecedented safety, speed and effectiveness for smooth, hair-free skin so you can enjoy permanent hair reduction from the convenience of your home! - and it uses an easy to use gliding technique, rather than the annoying and slow stamping one that most systems demand. Check this though, what makes it really cool - you don't necessarily have to shave or epilate first - mē is the only device in the market offering you an all-in-one solution! Use the epilator or shaver attachment (sold separately for $60) along with the elōs cartridge to simultaneously remove current hair and reduce future growth! It really is simple to use and it comes with detailed instructions as well as a cd showing you exactly what to do if you're more of a visual learner. The process is pain free (other than the epilator which can be ouchy) and all it takes is 4 treatments spaced 2 weeks apart to see noticeable hair reduction. And if you're like myself and intend to do the treatments 2 weeks apart and then life gets in the way and what should have been an 8 week process becomes a 5 months process - no worries, you still get the same (albeit much slower) great results! You can check out the website for additional information, including a treatment calculator that that lets you estimate how long your cartridge will last depending which body part you’re using it at: http://www.memyelos.com/en. The treatment calculator is found in the top right corner. Of course the cartridge only lasts for a certain number of treatments/body parts but a new one can be purchased for $70. Available at The Bay, The Shopping Channel - www.theshoppingchannel.com and www.tanda.com. 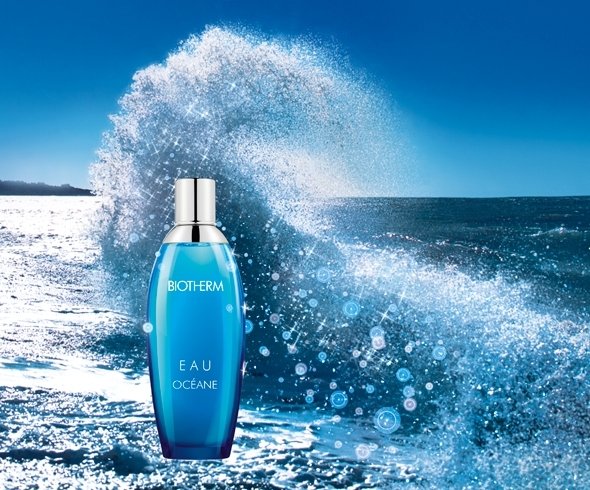 All the goodness of the sea from Biotherm, Avon and Arbonne! Biotherm Eau Oceane - skin-nourishing products to revitalize the body from top to toe: Marine Hydration Gel - 200ml - $36 - an ocean-blue coloured gel that contains marine source water, which stimulates a key protein in the skin's natural renewal cycle as well as being enriched with a five-strong ion complex: chloride, sodium, sulfates, magnesium and potassium - which regenerates the skin and boost the growth of epidermal cells by 34% after just six days; Eau Oceane - 100ml - $54 - an uplifting fresh aquatic floral fragrance infused with negative ions and sea source water with top notes of bergamot, citrus, water-based fruit notes and the elusive aroma of flowing water; a heart of salty sea notes, Jasmine Sambac and Paradisone; and base notes of freshly-crushed algae extract, musk, moss, cedarwood and dune flower. I absolutely love the smell of this so knowing that it is actually benefiting my skin as well as my nose is a double win! Purifying Sea Soak - box of 8 packets, 46g each - $74 - a relaxing soak that is rich in mineral salts and trace elements found in Atoligomer - a sodium-free, spray-dried seawater known to re-mineralize and revitalize; Detoxifying Rescue Wash - 473ml - $49 - a sulphate-free cleanser that can be used on the face, body and hair - with a unique formula that offers protection against free radical damage and lays down a protective moisture barrier on the skin's surface; Foaming Sea Salt Scrub - 200ml - $41 - a gentle body buffer that lathers into a rich foam as it gently exfoliates the skin's surface, increasing microcirculation and stimulating skin to promote a healthy-looking radiance, without disturbing skin's essential balance; Renewing Body Gelee - 354ml - $56 - a cooling gel with calming and refreshing properties that nourishes, hydrates and moisturizes, while it helps restore skin's surface ionic balance; Fortifying Hair Mask - 138ml - $37 - a blend of the ocean's most potent botanicals fortify the hair against harsh climates with a superb, hydrating formula that helps strengthen, condition, repair and revitalize the hair shaft for a lustrous, healthy shine and is safe for chemically treated hair; Sea Mud Face & Body Mask - 236ml - $56 - an enriched, sea-derived mud that contains stimulating ingredients and marine botanicals that help purify, detoxify and condition the skin's surface that wraps you in comfort and leaves your skin glowing. I've previously proclaimed my love for the Body Gelee and I've since had a chance to try the Face & Body Mask as well which is amazing - slather a layer on while you are waiting for the shower to warm up or bath to fill and look forward to smooth, glowing skin in just minutes! Sally Hansen Magnetic Nail Color - Red-y Response and Electric Emerald swatches! Sally Hansen Magnetic Nail Color - $9.99 - in 8 shades: Red-y Response, Iconic Indigo, Golden Conduct, Kinetic Copper, Graphite Gravity, Electric Emerald, Silver Elements, Polar Purple - infused with metallic particles that move when exposed to the specially designed magnet to create a 3D effect. They work pretty much the same as other magnetic polishes - apply the polish and then place the magnet over the polished nail and this allows the iron fillings to be drawn-out toward the magnet to form a unique and artistic design in seconds. Available in June across Canada. Magnetic polishes are usually kind of wasted on me as they involve some kind of fancy design that my nails are too small for it to fit on so it just ends up looking weird and disjointed. The Sally Hansen design is a wave effect which you obviously don't get the full effect of on my nails, instead it gives it an interesting tortoiseshell kind of deal which I quite like! The other thing I like about this polish - the cap actually comes off independently of the rest of the bottle which makes it much easier to perform the magnet step. As well, the lip on the cap you rest your finger on while magnetizing is higher so accidentally grazing my finger with the magnet was not as big a problem as it has been for me with other brands! Maybelline Volum'Express Mega Plush - $8.99 - promises massive supple lashes that are flake free and never brittle with a new revolutionary gel-mousse formula which contains 40% less hard waxes than mascaras normally contain for a soft, creamy and flexible feel. 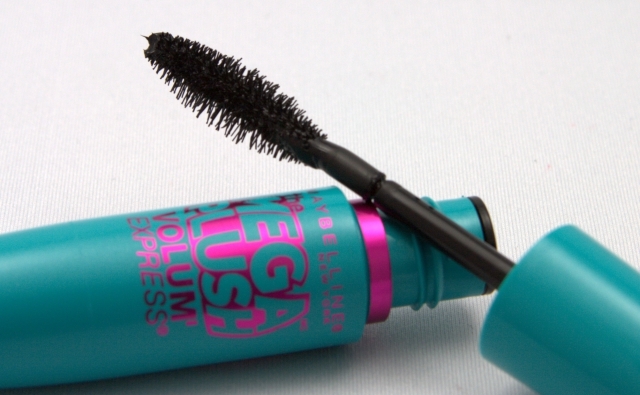 As well, it has a nifty brush with an extra soft flexor that moves and caresses lashes for the ultimate comfort in application. I had a lot better luck getting volume without it looking spiderish by applying the second coat immediately rather than waiting as you can see on the right eye. A nice amount of volume without it being hard of flaky, I'll agree with, I don't know that I would call it "massive" volume but it's certainly enough for my purposes! Protect your pretty face with a floppy hat from mark. Scala Collezione and Payless! One of the easiest, best and stylish things you can do to protect your face and delicate scalp from the sun is after applying your sunscreen, pop on a floppy hat! I especially like the ones below because they can all be squished without wrecking the shape - I have a bad habit of sitting on, stepping on, running over with the car my hats - all of which these hats can endure! mark. The Last Straw Hat - $28 - in brown faux straw with a lacy texture and scalloped edged brim. One size fits most with a 60cm opening and 11cm brim. Scala Collezione Ribbon Crusher Tres Jolie - $30 - in turquoise, lime, fuchsia, white, natural, tan and black - with a 4 inch brim and an external bow trim that actually functions as a sizing tie so that the hat is truly one size fits all! What's really great about it is how lightweight and flexible it is which means you can shove it in a suitcase or beach bag and bounces back into shape no matter how scrunched up it was. Payless Straw Floppy - $24.99 - in natural coloured straw. I like the clean lines and simpleness of this hat, it makes me think of tropical beaches and umbrella drinks! Available at select Payless store. With the latest in illuminating innovation just in time for summer - as well as products for the eyes and lips that are the perfect complement to radiant, sun-kissed skin! One Step Illuminate - $47 - an innovative serum that instantly illuminates, primes and nourishes the skin to improve tone and texture, while diminishing the look of fine lines and wrinkles with a swirl of three illuminating bronzers (pale pink, champagne & Kitten). With an oil-free formula that melts into the skin and dries down to hydrate and balance while controlling oil production. All Over Shimmer Liquid Luminizer - $26 - a creamy, skin-enhancing luminizer gives skin a fresh, radiant glow with soft focus pigments that add a touch of shimmer to help diminish skin imperfections and minimize the appearance of fine lines and sun spots. Use alone or add a drop to your favourite moisturizer or foundation. In 3 shades: Pink Shimmer, Bronze Shimmer and Rose Gold Shimmer. Set & Correct Powder - three colour-correcting powders (peach, green & Lavender) colour-correct and mattify skin - the combination brightens and evens skin tone, setting makeup with a flawless, satin finish. Set & Illuminate Powder - three brightening powders (pale pink, champagne & Kitten) containing specialty pearls and pigments illuminate cheekbones, under eye brows and/or decollete. Set & Bronze Powder - three bronzing powders (matte bronze, Kitten shimmer & bronze shimmer) give skin the appearance of a healthy, natural, sun-kissed glow. Stay All Day Lash Mascara - $29 - an innovative waterproof mascara that contains a unique polymer with an extremely high resistance to water for the ultimate in long-wear performance and leaves lashes soft and protected without smudging, budging or flaking. With a rich, buildable formula that contains a conditioning agent, coconut oil and antioxidant-rich mango butter and a unique 3D brush with three rows of combing bristles which expertly applies a generous coat of mascara for dramatic volume and lift, to lengthen and define each lash. 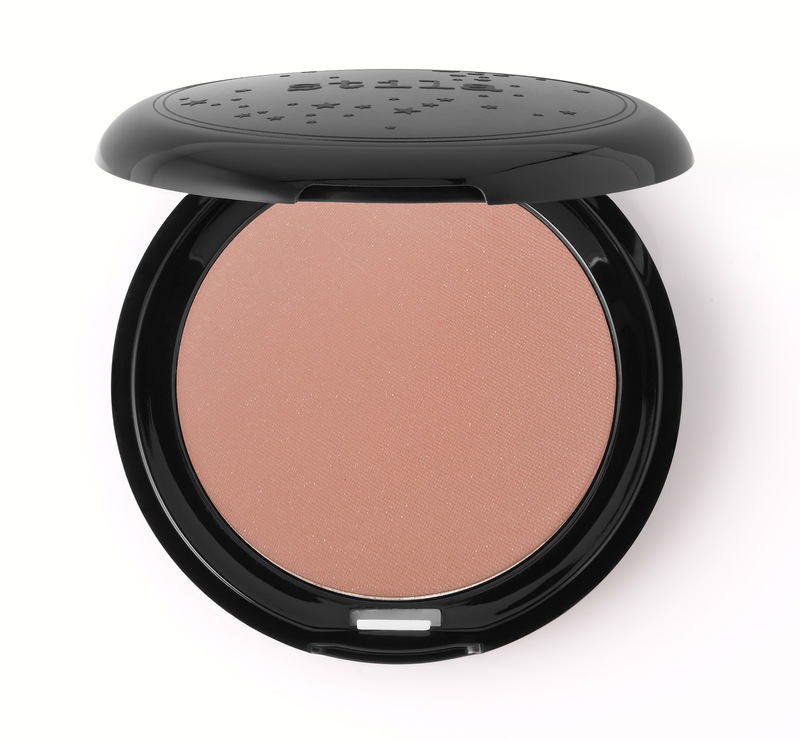 Custom Colour Blush in Self-Adjusting Bronze - $26 - a perceptive one-shade-fits-all powder blush in a natural bronze hue, with a hint of shimmer for a customized sun-kissed summer glow that reacts to each individual's pH to create a perfect personalized shade. Passion Fruit Crush Lip & Cheek Stain - $31 - creates a beautiful blush red shade with just the right amount of subtle shimmer for lips and cheeks. With a formula that contains vitamin-rich passion fruit extracts to soften and nourish the skin as well as antioxidants to help neutralize the harmful effects of free radicals. Available now at Shoppers Drug Mart Beauty Boutiques, Murale and Sephora. Come over to the dark side of skincare with RoC, Boscia and Lise Watier! RoC Sublime Energy Skin Smoothing Anti-Age Primer - 30ml - $38 - an oil and fragrance free primer that enhances the look of makeup by creating a protective base for longer lasting foundation while helping you look younger with RoC's unique E-Pulse cosmetic electro-stimulation technology which creates micro-currents to enhance skin's own regeneration. With a silicone base to smooth skin, provide a makeup enhancing barrier and activate with your own skin's moisture to provide anti-aging benefits. Don't let the dark colour throw you off, it disappears as soon as your rub it into your skin and leaves it feeling silky and smooth - if you're going to wear a primer everyday anyhow, you might as well use one that's going to help you with the aging process too! 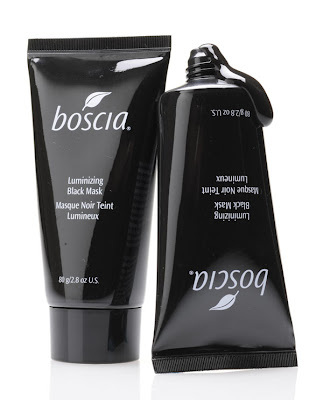 Boscia Luminizing Black Mask - 80g - $41 - a mineral-rich clay mask that deep cleans and draws out dirt and oil and then peels off to deliver powerful detoxifying, purifying, and brightening effects. 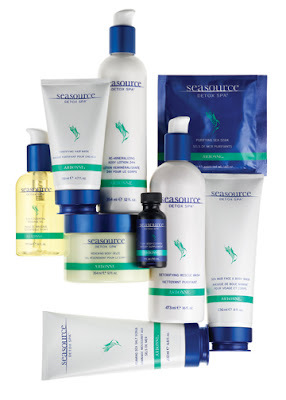 Powerful antioxidants make pores appear smaller, firm skin, and reduce inflammation. When I was little I loved to paint my hand with contact cement, wait for it to dry and peel it off. If I was a sun worshiper and burned, I'm sure I would enjoy peeling my burn too! So it isn't any surprise that I just love this peel mask - my skin feels so smooth and clear after I use it! Don't bother using it all over though, unless you are really oily everywhere. I use it on my T-zone with something more moisturizing on my cheeks. And be sure to let it dry completely first before starting the peeling process or it won't work properly. Available at The Shopping Channel - www.theshoppingchannel.com and Sephora. Lise Watier Age Control Supreme Black Night Elixir - 15ml - $45 - with a very funky looking black colour and shot with micro flecks of diamond, it disappears into the skin to strengthen and deeply moisturize during the night so you can wake up with skin that looks energized and rested. Contains a natural complex of hibiscus and blackcurrant rich in amino acids, Omega 3 and Vitamin F. And don't worry, once you rub it in the black colour goes away so don't worry about scaring the man at bedtime! Available in store and online at www.lisewatier.com. The Pink Sith imagines herself in an infomercial when she reviews the Natura Bisse NB Ceuticals Eye Recovery Balm. A product that promises to provide a moisturiser, foundation, sunscreen, concealer and anti-aging cream all-in-one, Visionary Beauty reviews the Omorovicza Complexion Perfector BB SPF 20 to see if it delivers. Did you miss the original KardashianKolors collection from Nicole by OPI the first time around? Jessika from polish insomniac shows us how to score the best colors in the new Pretty Petites collections! Lumière d’Artifices Beiges - Limited Edition - $75 - opens to reveal a duo of delicately iridescent eyeshadow with golden scintillation, stamped with a sequin imprint. Two shades of beige, one light and the other more intense, blend together for a perfectly sheer and natural result on the skin. The fine golden sparkles accentuate prominent areas of the face, play with the light and define a radiant complexion that looks natural in the sun or glowing in evening lighting. Joues Contraste in Rose Initiale - $48 - a universally flattering blush for all skin tones. Rouge Coco Shine - $39 - in: Chic - transparent beige with fine golden sparkles; and Parfait - tender pink with a touch of gold. Rouge Allure Extrait de Gloss - Limited Edition - $40.00 - in: Caprice - delicate pink with a hint of grey ; and Troublant - bold violet-plum brown. Beauty Info Zone wants you to check out her cans! Essie Poppy-razzi Collection - with swatches! Knock on wood it's Korres Quercetin & Oak! Firm up with Biotherm, Murad, Boots No7 and Olay! Marc Anthony wants you to say Bye Bye Frizz!